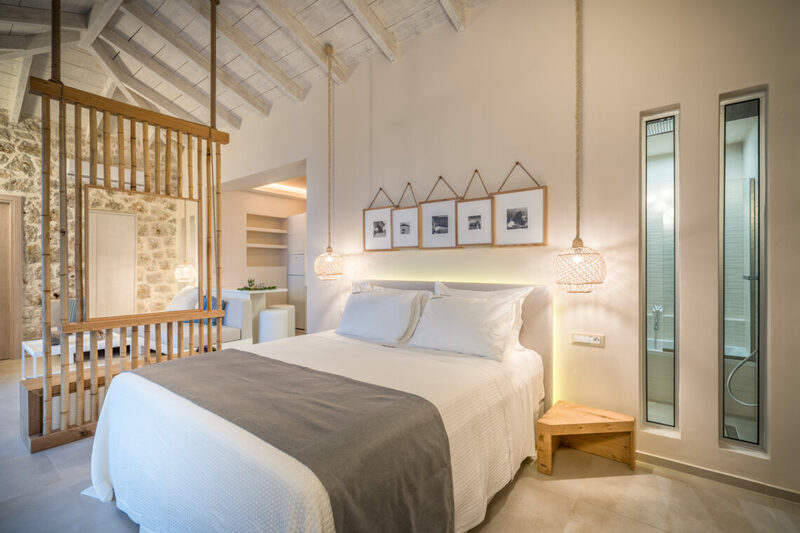 Fabulously luxurious, the Emerald Villa Suites are large studio rooms set on the hillside above the Peligoni. 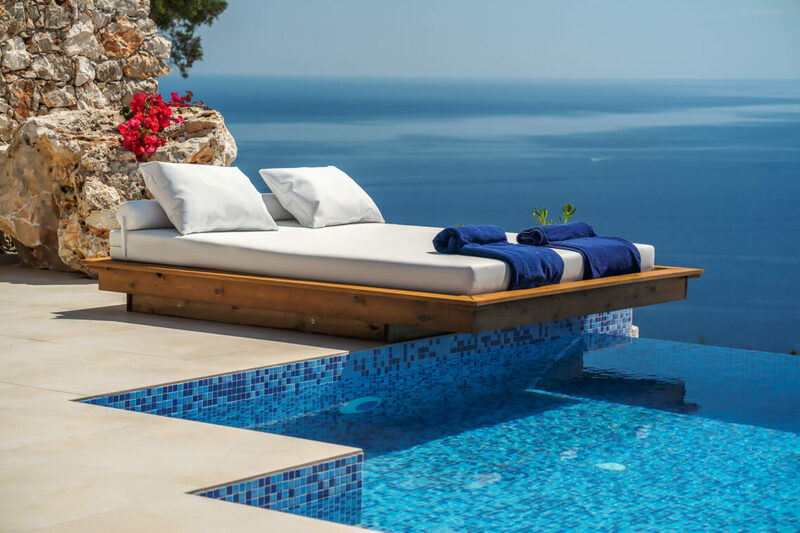 Perfect for couples looking for some quiet time, or for a group of friends taking two or more together. 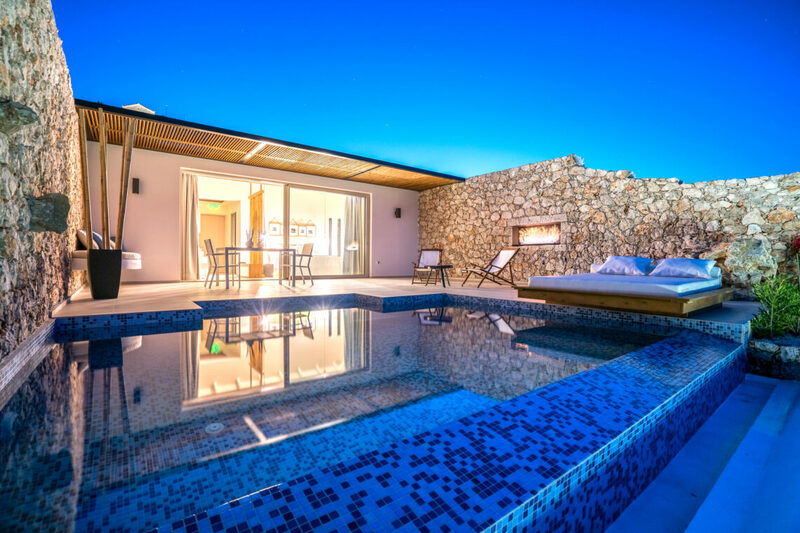 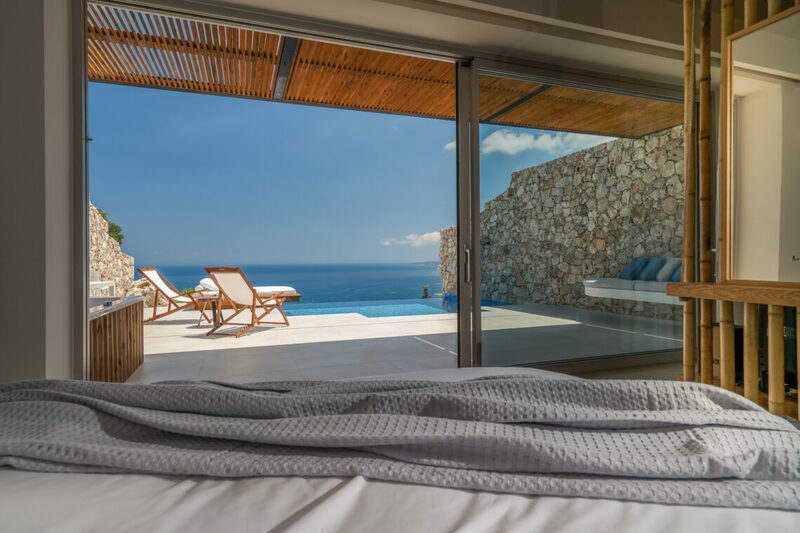 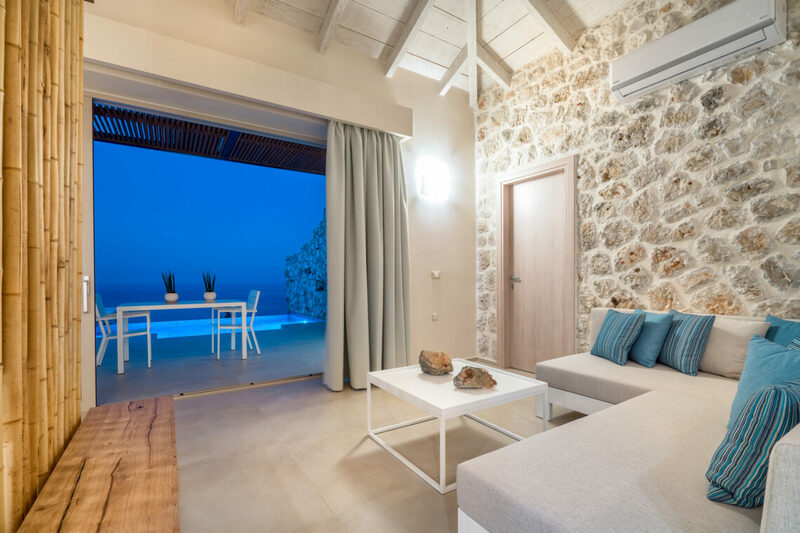 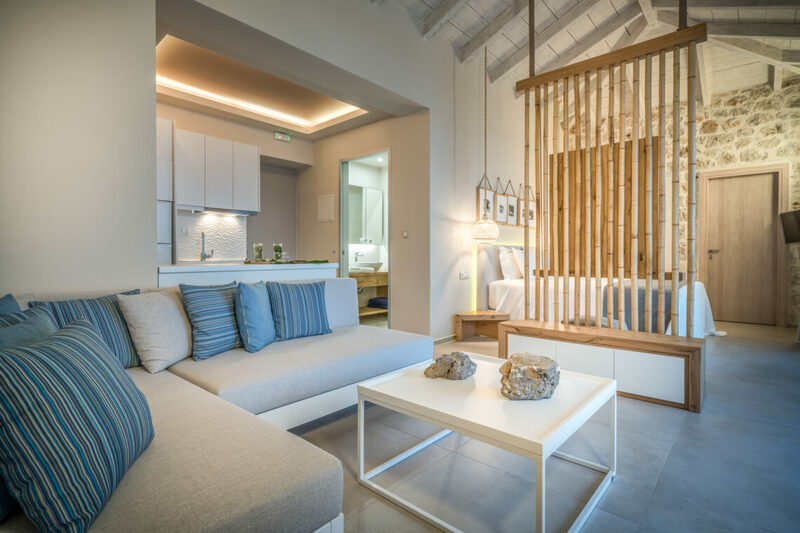 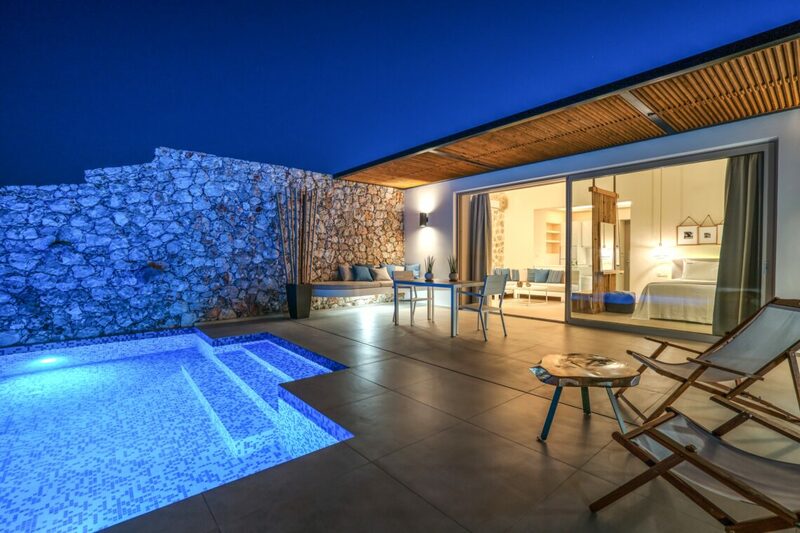 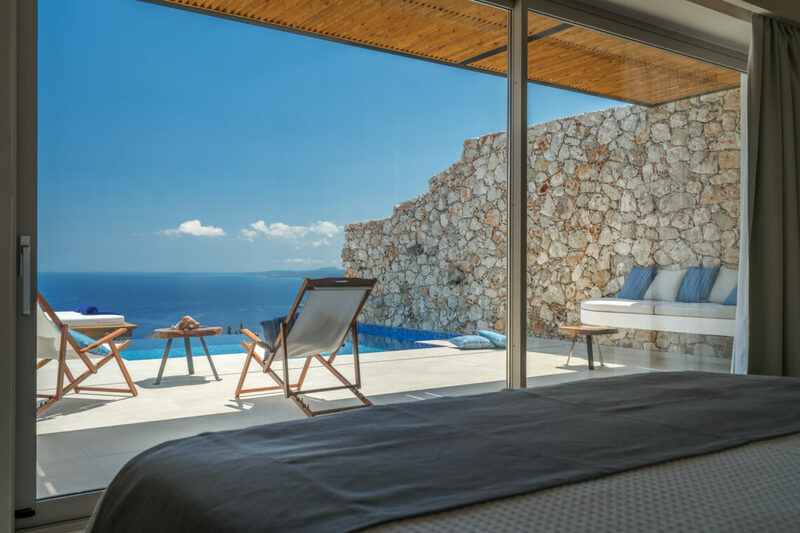 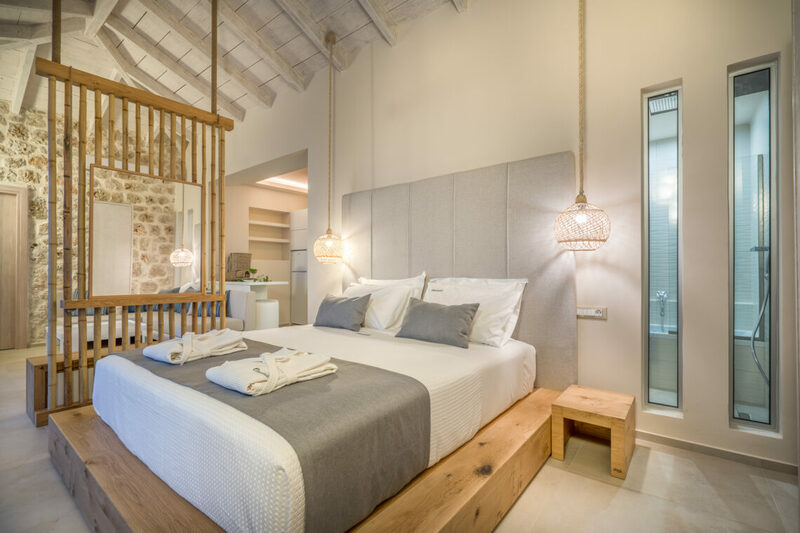 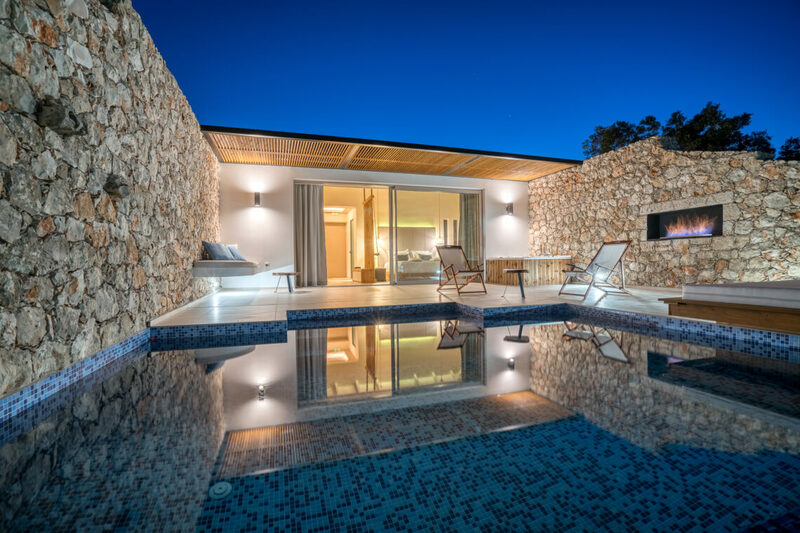 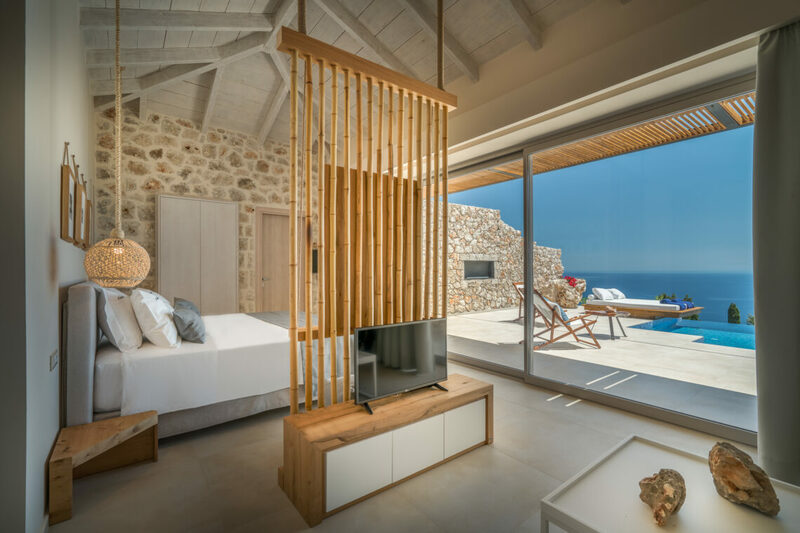 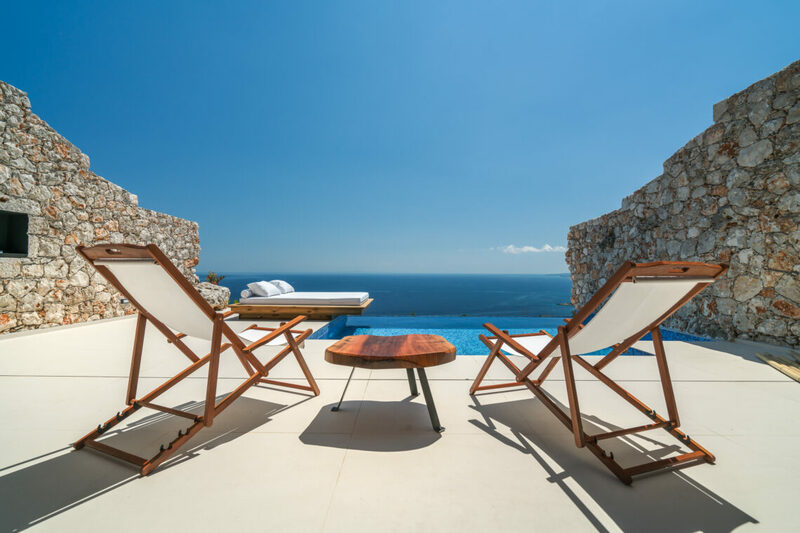 Spacious interiors, with kitchen area, they each have a private terrace, a plunge pool and spectacular Ionian views.